Nearly 90 percent of Texas schools are enrolled in TRS-ActiveCare. Some say the program saves teachers money, though complaints are growing about the state's stagnant per-month contribution. Today’s Texplainer question was inspired by reader Jason Johnson. Hey, Texplainer: Are all school districts covered by the state’s health care plan for teachers? Do any other options for health care exist? 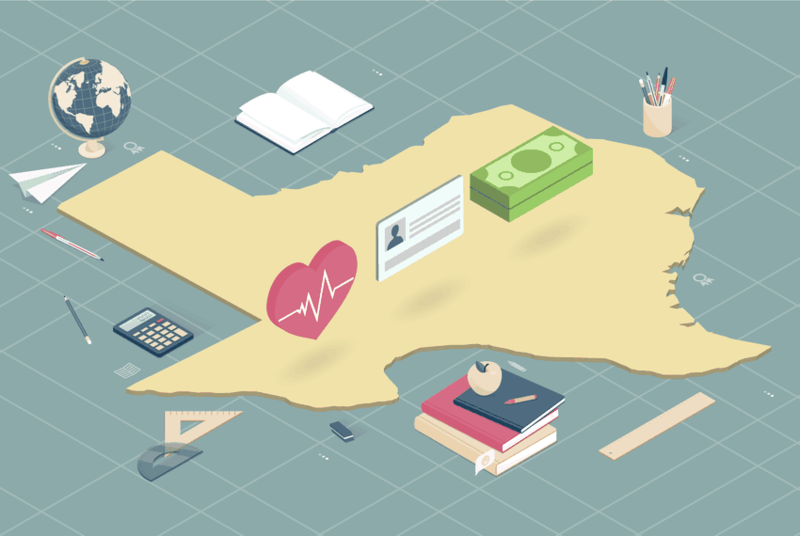 In 2002, Texas created a health care plan designed to help small districts provide affordable health coverage for their employees. Since then, most school districts — big and small — have signed up. According to the latest enrollment numbers, nearly 90 percent of Texas school districts participate in the program, known as TRS-ActiveCare. But in recent years, frustration has grown with the state’s support of the program, and a few larger districts have lobbied to leave. State law currently doesn’t allow that, however, and bills designed to give the districts permission to depart have failed in the Texas Legislature. One key complaint: The state hasn’t kept up with the rising costs of health care. Since 2002, the state’s $75 per employee per month contribution for teacher health care has remained flat. Meanwhile, employees’ shares of premiums have more than doubled. Larger school districts had the negotiating power to get a good deal with a private insurer, so they weren’t required to join TRS-ActiveCare in 2002. Some large districts, like Dallas ISD, decided ActiveCare rates were better than what they could get locally. Other large districts, including Austin ISD and Houston ISD, still provide health insurance locally. Districts are banned from backing out once they’ve joined the plan to avoid a problem known as adverse selection, said Ann Fickel, associate executive director at the Texas Classroom Teachers Association. That has frustrated some districts. El Paso ISD opted into the state’s health insurance program in 2011. Melissa Martinez, the district’s executive director of community engagement, said the administration formed two committees to look into joining TRS-ActiveCare, and both recommended against it. But some board members argued that school districts shouldn’t be in the insurance business and that TRS-ActiveCare would “remove that piece from our plate,” Martinez said. Since 2015, some El Paso school district employees and lawmakers have been asking the state to let them leave the program, Martinez said. Allowing districts to opt out of TRS-ActiveCare has been the subject of several bills, none of which have succeeded. In 2017, Texas state Rep. Lina Ortega, D-El Paso, sponsored a bill to let districts with more than 1,000 employees withdraw from TRS-ActiveCare. State Rep. J.M. Lozano, R-Kingsville, meanwhile, introduced legislation to let districts opt out regardless of their size. A fiscal analysis of that proposal found that it would likely increase school district employees’ premiums. El Paso ISD wants to leave TRS-ActiveCare because the cost of care has gone up and school districts and employees have to cover the difference, Martinez said. She added that health insurance rates are lower in El Paso, and the district has identified cheaper plans. The district currently pays $34 million per year for TRS-ActiveCare. But TRS Chief Health Care Officer Katrina Daniel said in an email that health care costs for teachers would go up if legislation passed allowing districts to opt out. Not everyone is unhappy with the plan. For some districts, especially smaller ones, TRS-ActiveCare has improved accessibility to care, said Amy Beneski, deputy executive director of governmental relations at the Texas Association of School Administrators. Beneski said some problems districts have with the state’s coverage, like the rising cost of care, are also happening in the private market. “TRS-ActiveCare isn’t any different than any other insurance issues that are out there in that [it has] suffered from inflation,” she said. Cristela Rocha teaches sixth grade reading and writing at Del Valle ISD and has been covered by TRS-ActiveCare since 2013, when the district switched. She has some problems with TRS-ActiveCare — she pays more for health care under the plan and finds that providers have less knowledge about her plan, which has led to some expensive procedures not covered by her insurance. She said she feels more secure under TRS-ActiveCare, but thinks the state needs to increase its contribution. “I feel a little bit more safe because I know it’s not going to go anywhere — if we maintain it,” she said. The bottom line: The state’s health care plan for teachers was created to help districts provide affordable coverage. Some districts think they can get better deals elsewhere, but once a district has started using the state's TRS-ActiveCare, it’s stuck. Legislative solutions haven’t been successful. Disclosure: The Texas Classroom Teachers Association and the Texas Association of School Administrators have been financial supporters of The Texas Tribune, a nonprofit, nonpartisan news organization that is funded in part by donations from members, foundations and corporate sponsors. Financial supporters play no role in the Tribune's journalism. Find a complete list of them here.